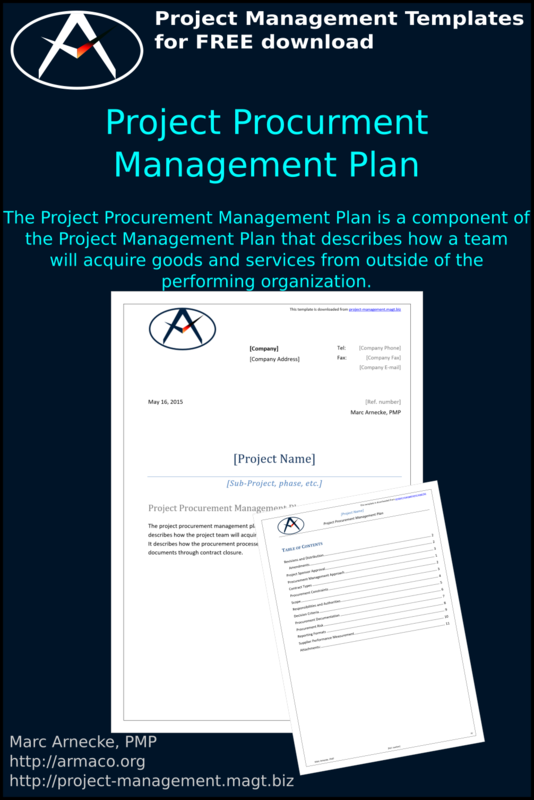 What is the Project Procurement Management Plan? The Project Procurement Management Plan is a component of the Project Management Plan that describes how a team will acquire goods and services from outside of the performing organization. What is the Content of a Project Procurement Management Plan? Earlier or later, for most projects, goods or services must be obtained from external sources. The project procurement management plan contains information and procedures on how to make decisions about the purchase of goods or services. In most cases, the plan also contains criteria that help with the decision which contract type to use. The plan continues to deal with how the right supplier for goods or services is selected. In the construction industry, it is often the case with public contracts that only certain suppliers, who have previously undergone a certain approval and registration process, are allowed. On the other hand, the buyer usually wants to check quality assurance processes and other criteria before selecting a supplier. The plan also includes documentation requirements and responsibilities and authority limits as well as other important details. Please let me know suggestions for improvement.